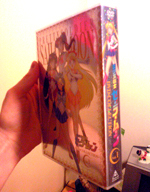 To celebrate Sailor Moon's 20th Anniversary, Toei rereleased the series on DVD in brand new box sets. Let's take a closer look! 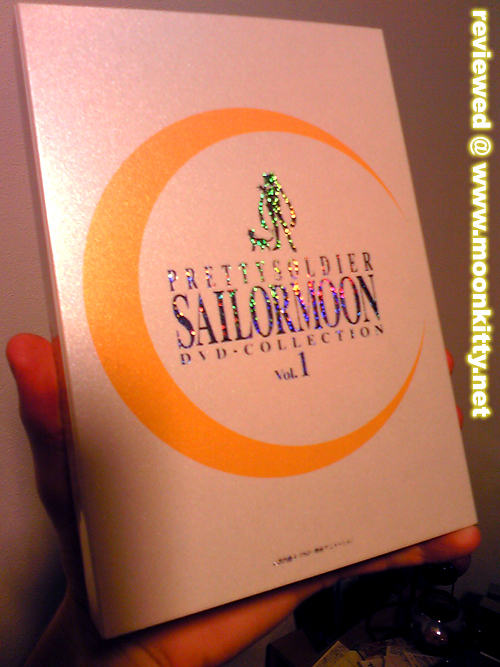 As soon as my set arrived from Amazon I was impressed with just how good this release looks compared to really any Sailor Moon release we'd seen before. The simple streamlined design of the slipcase works very well and unlike, say the first Japanese DVD boxes which looked rather childish, this is a dvd set that fans can proudly display in their living rooms. The cardboard is regular thickness (it won't stop a bullet) but is of very high quality and has a glossy shine to it that kind of reminds me of how light reflects off of a pearl. 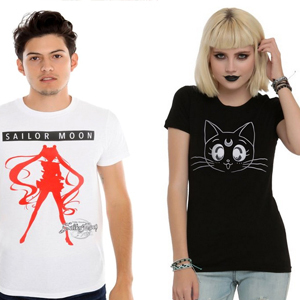 The silhouettes of Luna and Sailor Moon as well as the title on the box are 100% prismy reflective foil that changes colour as you move it. In short it looks great. What I really appreciated though is how they've thought of the fans who most likely have other box sets and will buy the other sets in this series and made the overall size of this box set very conveniently sized. One of the concerns I had over these releases was if they were going to take over an entire bookcase but the entire box is no wider than two regular DVD cases! Thank you Toei! The actual case is ridiculously shiny. The entire case is covered in prism reflective foil which is rather fun though a bit of a shock after the minimalist outer slip. 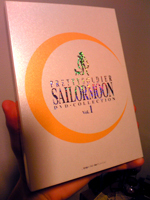 Images of Sailor Moon and the Inners from the original releases' covers are used rather well and a nice yellow lacy border that I almost missed completely frames both the back and front covers. The case opens very easily and thank God the DVD disks can also be removed easily unlike some other releases that make it so hard to remove a disk that you think you're going to snap the thing in two just getting it out. 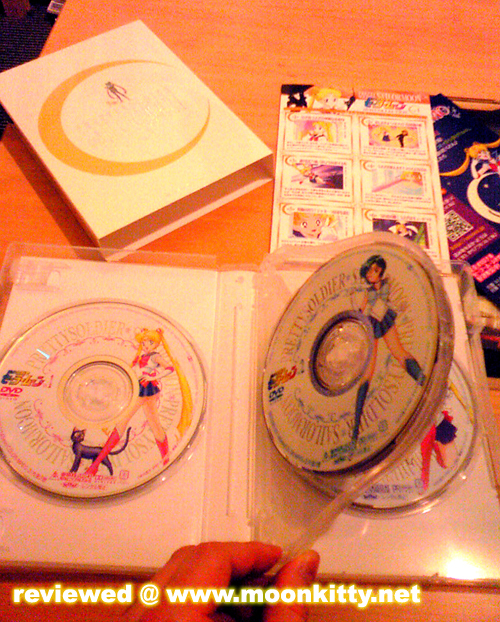 There are several inserts in the case, among them are a flyer for the Japanese Sailor Moon mobile website and the usual paper mini book with info on the episodes' chapters. There's also a lot of advertising for other Toei releases that you may or may not find interesting. Here's a video I made of the case, box and disks. Unfortunately for a lot of fans the DVDs in this set contain the exact same content as the original Japanese release right down to the animated menus. There are some slightly different company logo animations that play when you put the disks in though but that hardly seems mentioning. 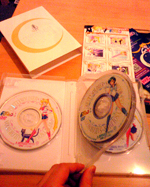 A more noteworthy change is the fact that unlike the first individual releases which simply had bland black and white title labels on the disks themselves, all four disks in this set have been give full colour, full disk labels featuring Sailor Moon, Mercury, Mars or Moon and Mask together. There are four disks in this set which covers the first half of the first season. That's 25 episodes!!! 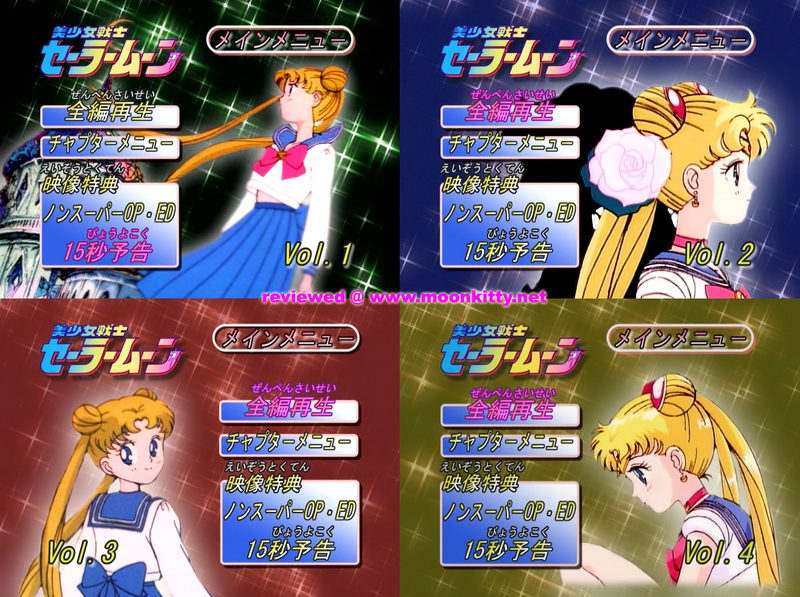 This is the Japanese version of course so all the episodes that were cut from the English version are present. 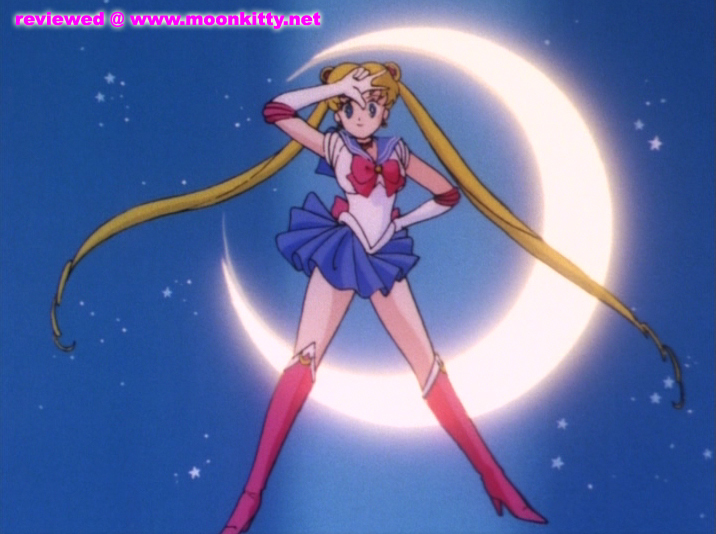 The original openings, closings and commercial bumpers / eyecatches are also included which should please any Moonie and as a bonus, tv commercials and creditless versions are also included as extra features. There is no English audio or subtitles but if you're reading this you most likely know the plot of the series well enough to understand the show even if you don't speak Japanese. Even if you've never seen all these episodes before the overall plot is fairly simple to understand, especially in the "Monster of the Day" episodes. Those with no experience with Japanese shouldn't feel too intimidated. All the episodes on these disks have also had their audio and image re-mastered and the show looks pretty amazing, especially considering it's age. It is the same remaster that was on the individual releases but it's still well worth seeing to be believed. 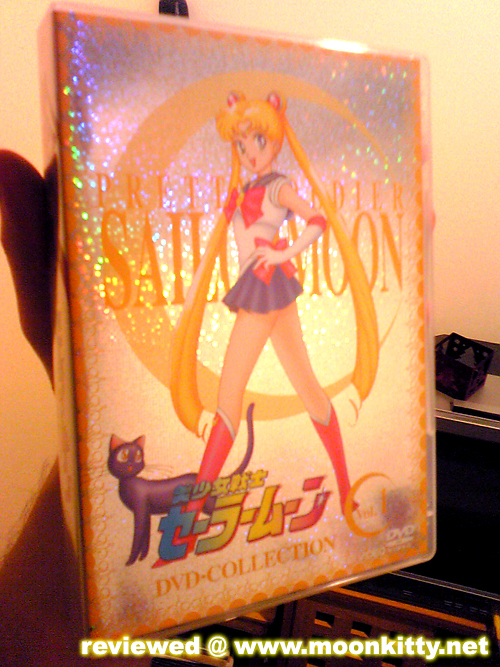 If you've never bought Sailor Moon's first season in Japanese on DVD before then you simply must buy this! It's a great quality release and buying the Japanese version has never been cheaper! Each individual DVD used to sell for about 4000 yen each which would make 4 disks worth 16000 yen all up. Since you can now buy this entire set on Amazon for 9300 yen you'd be a fool not to get it. 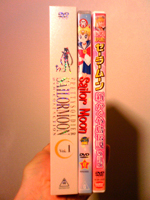 If you've bought that old US Region 1 Sailor Moon Box Set that came with English subtitles you should really think about getting this as the image and sound quality is 100x better this time around. It's seriously like watching a new show with this print. If you already own these individual DVDs then I guess it will really depend on how big of a completist you are. The box does look amazing, and the disks themselves are a lot better to look at this time around. Personally I'd grab this box and ebay your individual releases. 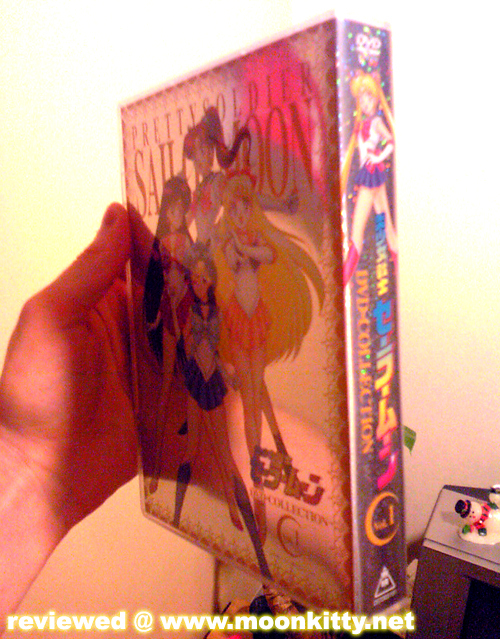 This is a really high quality Japanese Sailor Moon DVD release. 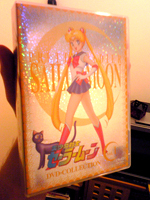 If the musicals and live action show could get this same treatment, I'd be one happy Moonie!